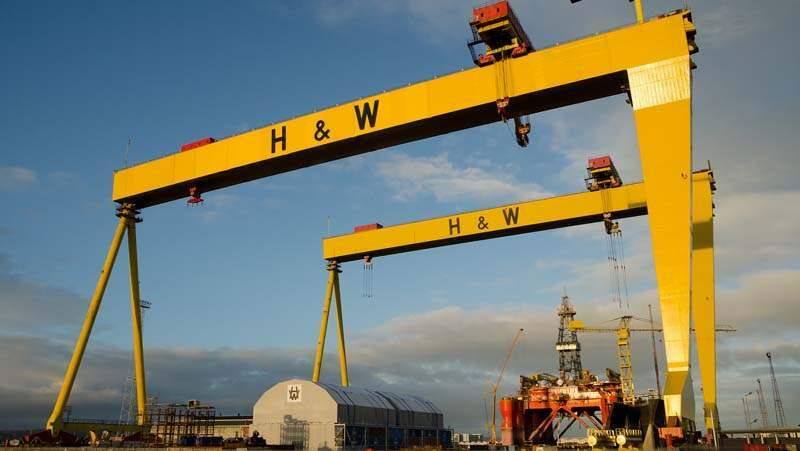 The famous Harland & Wolff cranes dominate the Belfast skyline. Inaccessible to the public, the hotel offers the best views in Belfast of the twin giants - you can still watch them move! With a combined lifting capacity of over 1,600 tonnes, one of the largest in the world, locals say the H & W initials stand for 'hello and welcome'.